Freelance photographers have to learn to protect themselves while making money and doing what they love; that is, clicking the camera away! One way of protecting yourself is by studying the photography contract sample and learning how to write one. The sample can be the difference between profits and massive losses. It can determine the direction the rest of your freelancing career in photography take. Making good money without a contract is hard. Here’s what the photography contract sample can bring to your attention and that of the client. The best freelance photographers understand their limits. Today, more than ever before, it has become important for freelancers to know what they can and can’t do. This is because it can be too tempting to take whatever project or gig that comes along! While that could guarantee you money, you will suffer in the long-term. Why? Clients will notice that you’re not quite as effective in some niches. All your shortcomings will emerge thus killing a source of income. At most, you can only do three things well in any field of photography and life in general! 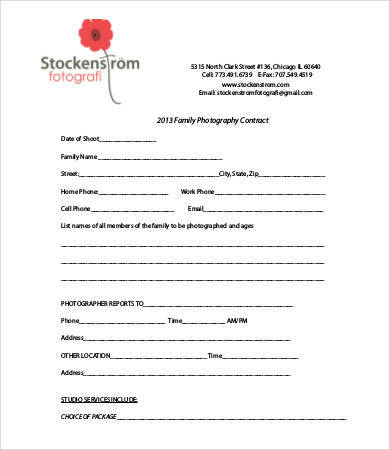 Of what use is the photography contract sample if you can’t use it to talk about money? Any talk regarding money has to highlight invoicing issues and concerns. You need as much income as you can get through your freelancing skills. Invoicing helps you to keep track of all that income. For this reason, it’s an important aspect or element when negotiating the photography contract with any of your photography clients. While still on this issue, freelance photographers should be careful to make complete invoices only. Do not leave issues regarding copyright hanging! Otherwise, the photography contract sample will not be of any use to you. Freelance photographers can fall into the temptation of seeking to impress their clients. Nothing is wrong with that! However, it’s important to protect yourself and – more critically – your work. For this reason, let the contract stipulate that you intend to retain the copyright for any work a freelance client commissioned you to do. Failure to retain copyright allows clients to use the photos in more ways than they told you. The clauses serve a crucial purpose, as already stated. They are not only beneficial to the freelance photographers but also protect clients. The more you protect yourself, the easier it is for you to offer excellent services to your clients. Many clients approach freelance photographers with a higher dose of apprehension. Some do so because of previous experiences while for others the apprehension is the result of stories they have heard. 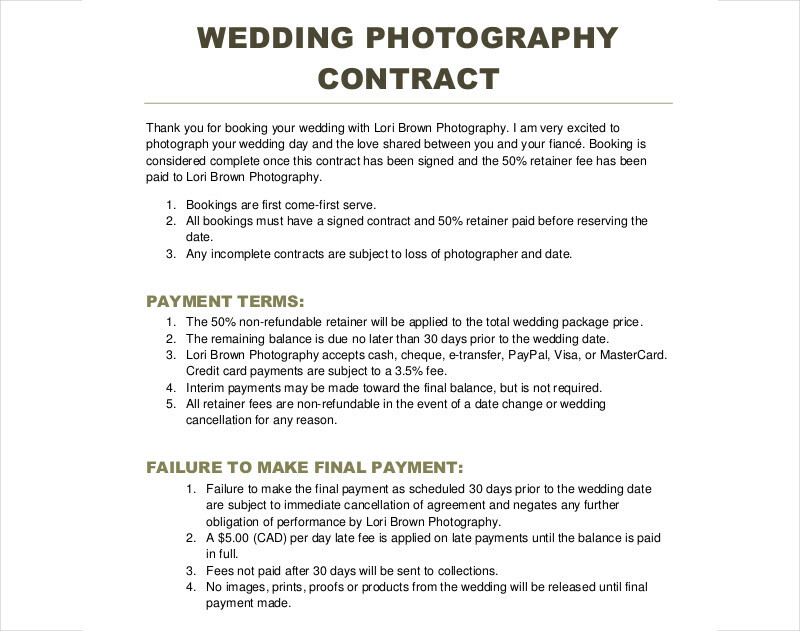 The photography contract sample puts your clients’ fears at ease. As demonstrated here, clients need to know that the freelance photographer is a trustworthy professional. Getting everything – including your promises and vows to clients – down on paper is the best way of reassuring them that you’re the real deal! It’s unfair for the freelance photographers to expect clients to trust their word only. Prepare the contract, sign it together with clients, and win their trust!